The novel opens with Jacob Rigolet, a young man who’s employed by a wealthy art collector, sitting at an auction in Halifax. The photograph by Robert Capa’s Death on a Leipzig Balcony is placed up for bidding, but before anyone can say anything, his mother, Nora, walks up the aisle and throws a bottle of ink across the famous image. Jacob had thought his mother, Nora, was “safely tucked away” at the Nova Scotia Rest Home. Jacob’s fiancé, Martha, is the lead investigator, the “interlocutrix,” and she discovers that Jacob’s father is not who he’d thought. Norman plays lightly with classic film noir with a mix of romance and an old-fashioned crime story with snappy dialogue and a certain melancholy that we expect from him. The noir genre is suspense driven, and in My Darling Detective there is a subtle yet mounting sense of impending threat. The language remains simple as we’d expect from the film noir but is less lyrical than usual for Norman. A cold case of two unsolved murders dating back to 1945 is lead by Detective Tides and Hogdon, archetypal and clichéd bad cop and good cop. Their working relationship and dialogue is another nod to the 1940s, with a back and forth of one liners, creating a lighter tone than we usually expect from Norman, but it was one that didn’t always work, The two detectives were too much of a stereotype for the novel’s realism yet they grew on me, and the image of one of the detectives singing and dancing during a tense interrogation sticks with me. These supposedly hard-boiled and cynical detectives ended up playing well in contrast to the gentle innocence of Jacob, a bookish and somewhat lost narrator: “Look Jake, sorry if my sense of irony might not be as refined as yours,” Detective Hogdon said. Howard Norman brings his usual preoccupations of Nova Scotia, WWII, photographs and libraries but with a lighter touch this time, yet the overlying atmosphere is again melancholic. Whimsical and bizarre events such as two children born in the library are held in check with the emotionally raw and realistic letters from the trenches in 1945 Germany, from Nora’s husband, the man in Capa’s photograph, Bernard Rigolet. Norman’s works are often rich with historical details that give a depth and weight to the narratives. They are rooted in reality such as here when we learn that the “Region of Delay” was “a term that applies to journeys, not always perilous ones, but journeys at seas.” Bernard Rigolet writes letters to his wife from the 1940s, describing the journey from Canada to Europe to fight in the WWII. One of the other soldiers, a Greek and philosophical man, warned them that they “have to have some perspective, some philosophy about what we’re entering into or else it’s all going to seem useless.” Yet war is hard to understand or rationalise and through Rigolet’s letters we witness his slow decline into violence and the inevitability of terror during combat. 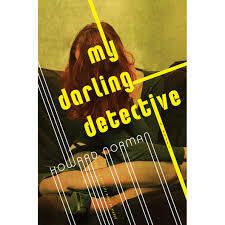 Norman is a master of atmosphere and despite the levity of the parallel detective stories, My Darling Detective has these touches of such realism that we, the readers, leave with a stronger sense of the anti-Semitism of the era, the threat of violence, and the trauma of war on a personal level. Norman’s signature setting of Nova Scotia is less well-described in this novel, without enough of the physical context; it’s as if Norman trusts us to have read his other novels and that we remember and can imagine Halifax fully. There are less sensory details than needed to bring the town and community alive. Consistently, Norman brings to his novels the importance of books and art, of photographs, letters and libraries, and as usual he evokes those well. These themes offer a hope for humanity, implying that the arts are a sanctuary, an idea that resonates with me. Jacob, the narrator, turns to the library as it’s familiar; he was born there, grew up there, and after his mother’s breakdown, he decides to become a librarian for mixed reasons. The Halifax Free library is his safe space during the investigations into who his biological father might be and the search into the murders of the cold case from all those years ago. Norman keeps us turning pages as we try to make sense of the various threads. 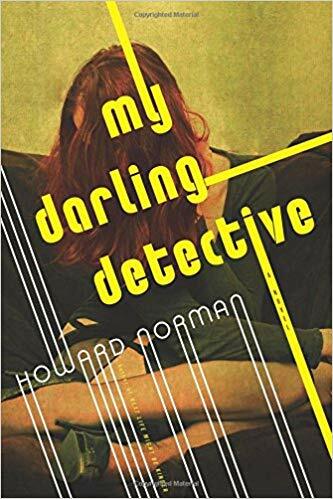 My Darling Detective is very much the same for me: The layered plot, the clichéd touches of the ‘homage to noir’ and characters didn’t immediately grab me, persuade me to keep reading, yet I’m glad I did. The lasting impression is one of a cohesive novel, and the lives and deaths of the characters touched me. Jacob and Martha are such an odd detective and librarian couple in a world and culture unfamiliar to me except through Norman’s novels. Where Norman will takes us next? Is this the start of a lighter body of work within the darker themes he often deals with? 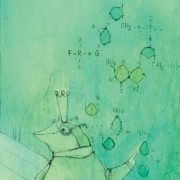 Boston: Houghton Mifflin Harcourt, 2017 243 pages. $26.